When kids begins their career in college, many parents overload them with utterly useless, space-stealing items that they will never use. 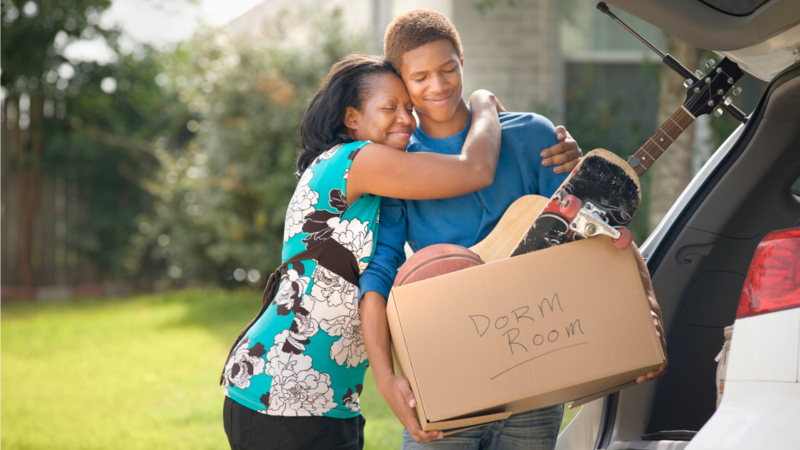 If you want to avoid wasting money — and all that precious shopping time you could be spending with your kids before they flee the nest — check out this list for a much more effective and useful college-packing experience. To state the obvious, if your student already has a laptop that he or she can use, avoid tablets. Avoid them in general, actually. They may be the wave of the future, but they aren’t quite there yet. Although it may seem like a good idea at the time and maybe save some money along the way, many tablets do not have the capability or ease that laptops do. With that being said, the most powerful, well-equipped laptop isn’t always necessary either. A large majority of college students simply use laptops to use word-processing applications, browse the Internet, stream music and — for the downtime — watch Netflix. So, try to find the middle ground between the worse and fanciest laptop you could buy. Take the story of one freshman college as proof you don’t need to bother with this. He bought an iron and ironing board on the day he moved into the dorm. He placed it in the back of his closet and took it out once. The reason for taking it out? To try to heat up his cup of water and Ramen Noodles because he was “too lazy” to go to the kitchen and use the microwave. Unless your student diligently irons clothes throughout the week, we can almost guarantee that this item will rarely be used … at least not for its intended purpose. School supplies are a thing of the past. Unlike the day in elementary school, all you really need is the bare minimum in college: paper and pens — that’s it. Your kid won’t need the large plastic binders, simply because many college professors aren’t going to hand out a piece of paper to every student in a large lecture hall just for the majority of them to trash or lose that very paper shortly after they’re dismissed. A microwave, a microwave specifically intended to heat s’mores, a George Foreman Grill and, yes, even that quesadilla maker are not required. In fact, many dormitories have a kitchen with all of these appliances. Well, they may not have a microwave specifically intended to make s’mores, a George Foreman Grill or a quesadilla maker, but they have other appliances that do exactly what those three can — and you’re already paying for them with that hefty tuition check. Even if there isn’t a kitchen, here’s betting someone on your child’s floor had their parents buy one of those appliances that can be borrowed. Save the world and buy a reusable water bottle. Mother Earth will thank you.